Great product at a decent price! Marcia, at first I thought it was just me and I was smoking more but now I realize the cartomizers don't last very long. Getting so bad I may have to go back to refilling my own. This is getting too expensive. I've used Fin for over 6 years and am getting disappointed. This is no reflection on E Tobacconist LLC, they are a great service and have never had a problem in the 2 years of subscribing to their excellent service. Wish they would pass along to FIN our displeasure. 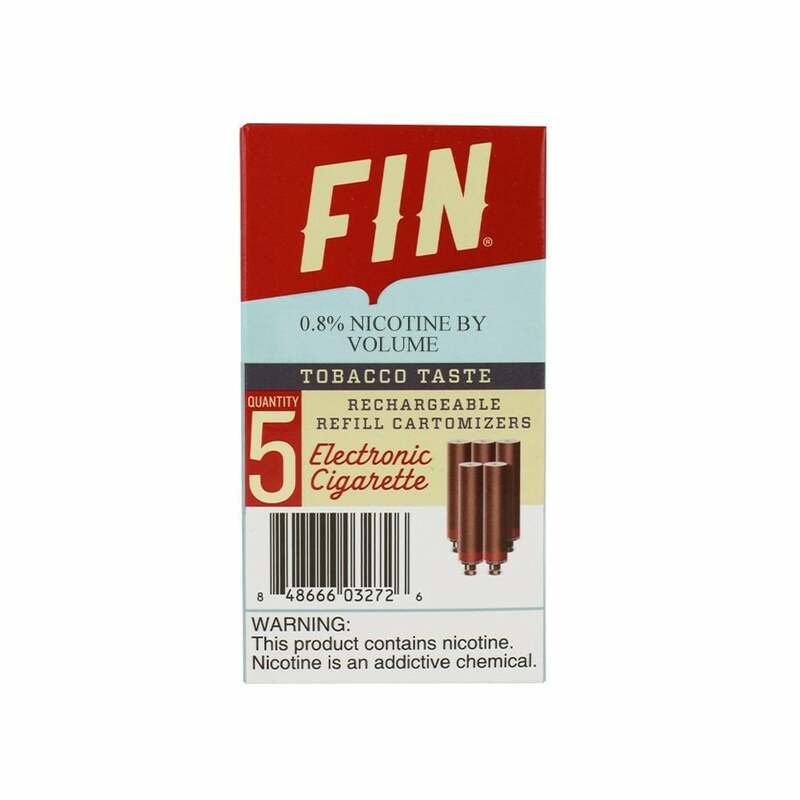 I understand FIN has be acquired by another company. Maybe that's the problem. Have used these for a number of years with no problems at all. However, recently I find that the cartomizers do not last as long as they used to. In fact, sometimes they are completely empty; this isn't a frequent occurrence but it does happen. Considering the cost of this product, the fact that they seem to last half as long as they used to as well as the occasional empty cartomizer is both frustrating and expensive. Great product, easy to use and at a great price! So trying to give them up. Excellent product at a great price. And very fast and efficient service as well! The price was great and the service (including delivery) was excellent. 13th July 2016 - Ron W.
I am very very happy with your prices. delivery time. and customer service. I did order this product. but only because you apparently don't carry my usual cartridges-Mild MENTHOL 0.8%. I am very satisfied with them. I am also very happy to see you carry my v2 brand cartridge refills. Menthol 0% nicotine. I will continue to order these. your delivery service is excellent.